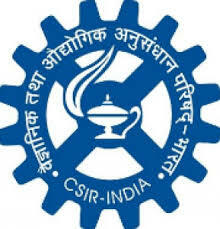 A few days back the Central Electrochemical Research Institute has issued a notification for the CECRI Recruitment 2018. Who are looking for the latest jobs in CECRI need to refer to this article. The authorized officials are hiring the people for 38 Apprentice Posts. In addition to this, we have provided the CECRI Pay Scale, Educational Qualification, Application Fee and cecri.res.in Application Form details in the below sections. Candidate can get an overview of the CECRI Recruitment 2018 Notification by referring to this web page. We have also arranged the Procedure To Apply For The CECRI Recruitment 2018. Check it further. 1.7 How To Apply For CECRI Recruitment 2018? All the aspirants are insisted to check the complete post and get the minimum idea of CECRI Recruitment 2018 details. People whose dream is to get a job in the government sector they can refer to this entire article and move further. Central Electrochemical Research Institute Apprentice Personal Interview is going to held on the 14th August 2018. The detailed post wise vacancy details are equipped clearly in the further sections. To know more details must download the CECRI Recruitment 2018 Notification For 38 Apprentice vacancies official notification at the end of this post. Are you one of the candidate looking for Tamil Nadu Government Jobs? If your answer is yes then without late just take a complete look at this article. Moreover, to give you complete info regarding Recruitment we have tried our level best and gathered the essential data and shared in this article. Our main aim is to help the job aspirants in their difficult time. That the reason we have published this post and given CECRI Apprentice Recruitment 2018 information. And also, we have shared post wise vacancy details. Education Qualification criteria is the primary for all the people those who are planning to apply. To know more updates must check our site Freshersnow and move forward. Candidates must qualify ITI in fitter, turner, machinist, welder, electrician, wireman, electronics mechanic, refrigeration & A/C mechanic, COPA, plumber, a carpenter from a recognized institute. Who have any one of the required qualification they can easily apply for the CECRI Recruitment 2018.
Who have the minimum age of 14 years can apply for the released CECRI Apprentice Jobs 2018. There is no application fee commenced by the officials of Central Electrochemical Research Institute so you must refer this page for any latest update. All the applied candidates will have the screening test that means only the received CECRI Apprentice Recruitment 2018 applications are verified. Then the Selection Procedure that is the Personal interview will be held at the following venue. Interested candidates can download the official notification to apply for the CECRI Apprentice Recruitment 2018 Notification. All the eligible candidates may appear for the CECRI walkin interview along with duly filled application form which is attached below. Also, attach the self-attested copies with all original & attested copies of certificates of the educational qualifications. Candidates can find the CECRI Recruitment 2018 Notification application form at the end of the notification.